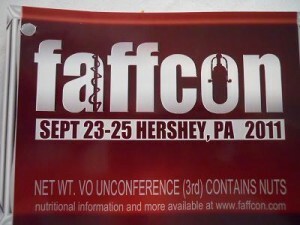 Yes, Faffcon 2 just closed today and no I haven’t yet posted about it because, well its a long story (short answer: faffcon 2 was amazing) but Faffcon 3 has been announced for September 23-25, 2011 in Hershey, PA. 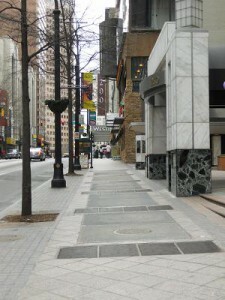 It just so happens that Sunday, February 20th, I arrived in Atlanta, GA and am staying the Westin Peachtree Plaza, site of Faffcon 2 from February 25-27, 2011. To answer your questions: no I did not screw up the dates on my calendar and no I am not arriving super early. I am here on other business and will be leaving mid-week only to return Friday for Faffcon 2. Uh, yeah, I know, just don’t ask. 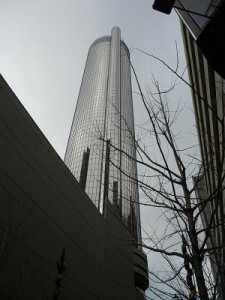 But being the intrepid guide that I am, I will offer my fellow fliers to Faffcon a fun travel tidbit that could save you about $20-30 depending on traffic when you arrive in Atlanta. 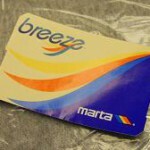 Unless its against your religion, consider not taking a cab or a shuttle to the airport, take the MARTA subway system. 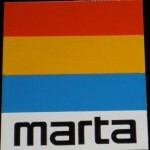 The MARTA subway station starts at one end of the system right at Hartsfield-Jackson Atlanta International Airport and runs a train that gets off 8 stops later (with no changes) at Peachtree Center, about a block and a half away from the Westin Hotel. Step 1. 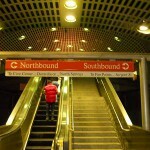 At baggage claim, look and follow the signs for MARTA station. Step 2. Once you enter the MARTA station, go over to the automatic ticket machines and buy a one way ticket (or pick one of the other ticket options if you’re going to be using the MARTA to travel around alot, your call). 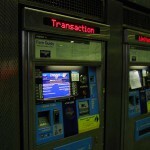 There are helpful MARTA employees there to guide you through the ticket buying process. You can use your credit card and don’t forget to get a receipt as this is a business expense. Step 3. 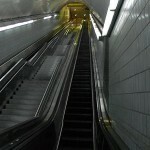 Go through the turnstiles and up the escalators to the platform. You’ll see lots of your fellow travelers with their suitcases there. Wait for the train. As its the beginning (or end of the line depending on how you view such things) it’s only going to go one way. When the train comes get on it. Step 4. 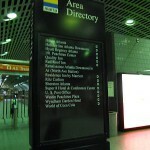 Get off at Peachtree Center. Step 5. Go up a crazy long escalator. Step 6. Go to your RIGHT and up a smaller escalator. Step 7. Walk outside, face the street and look to your right, down about a block and a half. Today I came across an article by Maxine Dunn regarding cold calling that I think is worth your time to read (thanks to Perry Norton for the link). The only addendum I would add is that more valuable than a cold call is a warm call – having sent some correspondence to your prospect 2-3 days prior and then calling them up. But in either case, the most important outcome is to get on the phone. Thanks Maxine. Here’s a scenario: you get a call from a commercial client and it’s a rush deal, they need the spot done yesterday. You will have very little time to digest the copy before you have to record it and send it back. What are you going to do? For many folks, they will scan the script and hit record. After all, the client needs it NOW and they are in panic mode, not quality mode so it won’t reflect on you if the read isn’t perfect. Stop. Don’t do it. Back away from the script and the microphone. Breath. You can still get the spot done quickly but also get it done right. Step 2. Read silently. Mouth CLOSED, no lip movement. Read only with your eyes…don’t speak a word of that script….not one word. I told you to be quiet when you read the script for a reason. You need to dissect the script as you read. So read this :30 second script 3 times – this will take you about 2:30 all totaled. On the 1st read: Read for comprehension – this is vital. VITAL! You need to grasp the copy writer’s intent going beyond script direction (cause often you won’t even get that!) Are they going for humor? Drama? Silly Sublime? 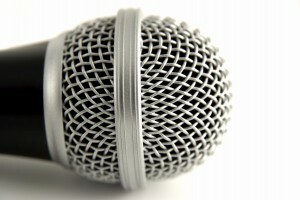 Are you a character or just an announcer? What kind of character or announcer? What kind of sell are they going for? Knocking them in the head with a sledge hammer kind of sell (“Sunday! SUNday! SUNDAY!!!”). Is it a scare tactic script (“is your computer data backed up or could you lose it all with one power surge?!”). All these things and more you need to be able to identify after the first read through. Take/make notes on your script. On the 2nd read: Is there a change in tone or intensity from one part of the script to the next? Does it start softly and build in intensity? Is it suble all the way through? Is it hard sell all the way through? Where is the critical sales message (you likely found that in the first pass but you should confirm your assumption here). One the 3rd read: Start reading the script out loud, making your announcer marks as you go. Check the copy for time (notice – this is NOT something I advise in the first two read throughs – to do it earlier would take your mind away from critical interpretation notes.) 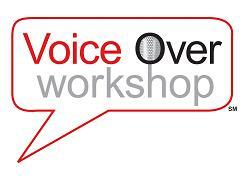 Now your natural voice over abilities and acting talents can take shape and make the script your own. By now you understand the script a lot more than you would if you just started reading. You’ll have a better chance of properly conveying the message the client needs the listener to hear. You’ll have a comfort level with the copy, intent, sales message and pacing of the script so that not only will you cognitively understand the script, your mouth will have wrapped itself around the words and give you a better shot of cutting the spot in a shorter amount of time…maybe even in one take.